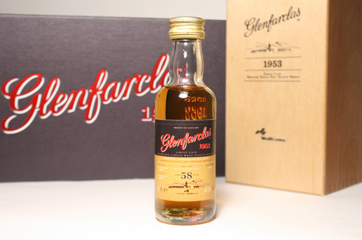 A miniature bottle of 1953 Glenfarclas released in 2013 to commemorate the 60th anniversary of Queen Elizabeth II's coronation. 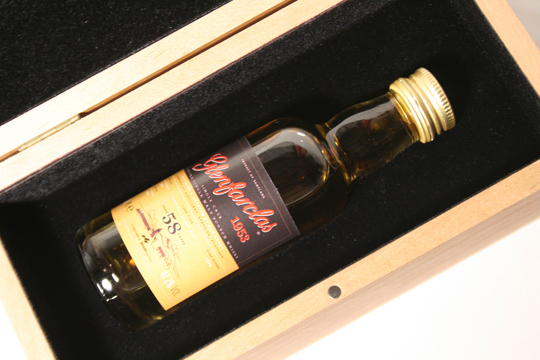 This is presented in a delightful decanter and accompanying box. This item was never for sale at any outlet. 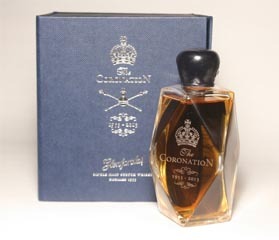 These were promotional items to support the launch of the 70 cl bottle. old 100proof flask clear J.G.Grant Ltd./Grant Bonding Co.,Ltd. 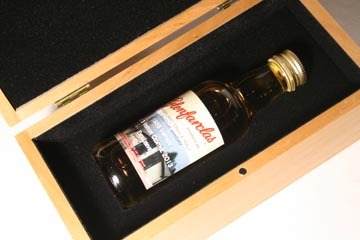 Glenfarclas Distillery imported into U.S.A.
short clear J.G.Grant International Ltd.
old 70proof flask clear J.G.Grant Ltd./Jas. Gordon &Co.